Last month I was invited to Asience Media Conference at Jojoba Spa , Berjaya Times Square Hotel as KAO launched their latest addition to the Asience range, Asience Shine Therapy. Ms Elizabeth Choon, KAO Malaysia's Brand Manager of Hair Care said that : Asience understands women's need to be confident and confidence comes when a woman feels beautiful. 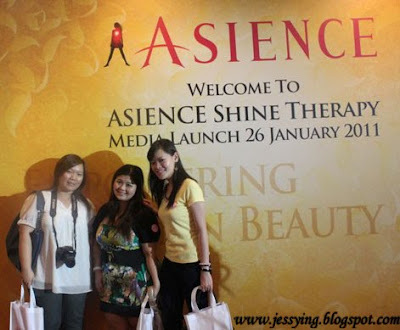 The new Asience Shine Therapy along with the Inner Rich and Nature Smooth range, are hair care solutions that can help radiate empowering beauty and confidence that women long for"
Asience aspires to reach out to Asian women beyond their hair care needs. In line with the 'Empowering Asian Beauty' tagline , Asience aims to give women healthy , lively and envy-worthy hair that will boost their confidence whilst giving them the pleasure of joy that comes with it. Asience Shine Therapy intensively restores from within for stronger, smoother, bouncier hair that shines! It has the Enhanced Asian Beauty Essences plus Soybean, its ultra repairing formula is suitable for damaged, dull and brittle coloured, permed or rebonded hair. 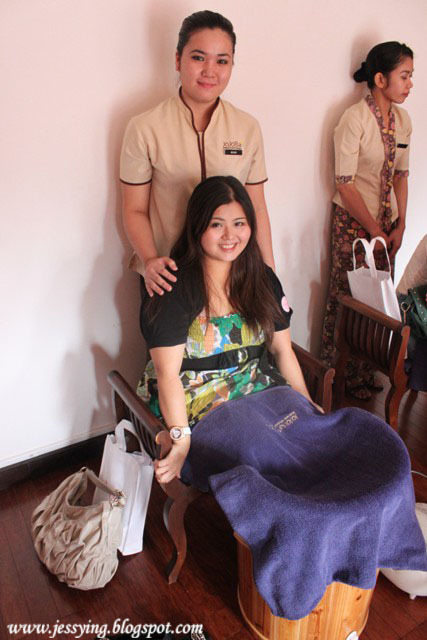 See the result, that your hair will regains its strength and shine, becoming resistant to breakage and split ends. 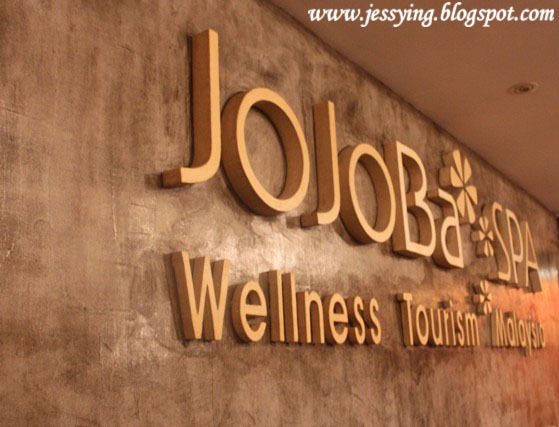 At the end of the event, we are pampered with either foot scrub therapy or head & shoulder massage by Jojoba Spa. As you can see I chose the earlier one. Although I'm smiling for the picture, actually the steamer is very HOT! Thanks to them my feet feel like dancing after that, so smooth like silk too ! Anyway readers have you try this range yet?? Witoxicity : I didnt know Asience not available there :( Yes i miss the food scrub therapy... should go back there!